We rely on donations to achieve our aims and to care for the children in our Butterfly Home. Accessing corporate-level support helps us train more doctors and nurses, advocate for children’s palliative care, and give more children and families the hope and care they deserve. Together we can spread the word far and wide. Our corporate sponsors enjoy updates from the home, individual news about the particular projects that they are sponsoring, some even visit the home itself – bringing many smiles to our children. Each corporate sponsor receives a sponsorship certificate for every year their sponsorship is renewed. Where possible we help and support fundraising activities at your company, from sponsored runs to bake sales. 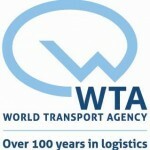 WTA (World Transport Agency) and WTA China have been corporate partners of the Butterfly Children’s Hospice for the last 4 years and in various ways… fundraising activities by staff and management, sponsoring cribs, providing expert advice and even taking a place on our international board of trustees. We are proud to feature on their website. JM Addington Technology Solutions is a IT company and managed services provider, working hard to give our customers best possible technology experience. 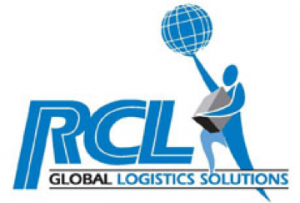 Our focus is customer relationships and satisfaction, we’re not happy until you are. We work with small and mid-size businesses and non-profits.We provide full service IT solutions for Macs, PCs, networking, wireless networking, virus recovery, email, and more.Zhong Guo and its people hold a special place in our hearts, we are proud to work with organisations that there. We were privileged to organise and host the first Children’s Palliative Care Conference in China which took place thanks to the generosity the Lipoid Stiftung Foundation who sponsored the event. With all of our esteemed speakers donating their time, we were able to offer the conference at no charge to all attendees. We welcomed doctors, nurses, social workers, Chinese officials and SWI staff – over 100 delegates in all. Read more about it on our blog pages. ArcelorMittal has been developing its activities in China over the last 20 years. ArcelorMittal offers a full range of products and services in China: steel manufacturing (participation in Valin Steel and China Oriental), automotive steel (VAMA, joint expansion project with Valin steel), distribution and procurement, among others. We are very proud and honoured to have developed a long standing relationship with ArcelorMittal who have regularly made donations and given support to our Butterfly Home in Changsha and the charity generally.